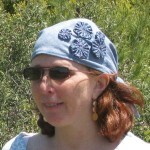 I just released my newly designed Bandana Cotton Denim Head Scarf with Yo Yos. It is available on Etsy. It is a fashionable, comfortable triangle-shaped head scarf that can be worn on any occasion and tied easily. The yo yos add to the overall look of the scarf to dress up your outfit. Since it is denim, it can also dress down your outfit. This 100% cotton denim is super thin and soft for hot days when you are out on a hike or a run. You almost forget you are wearing anything on your head. 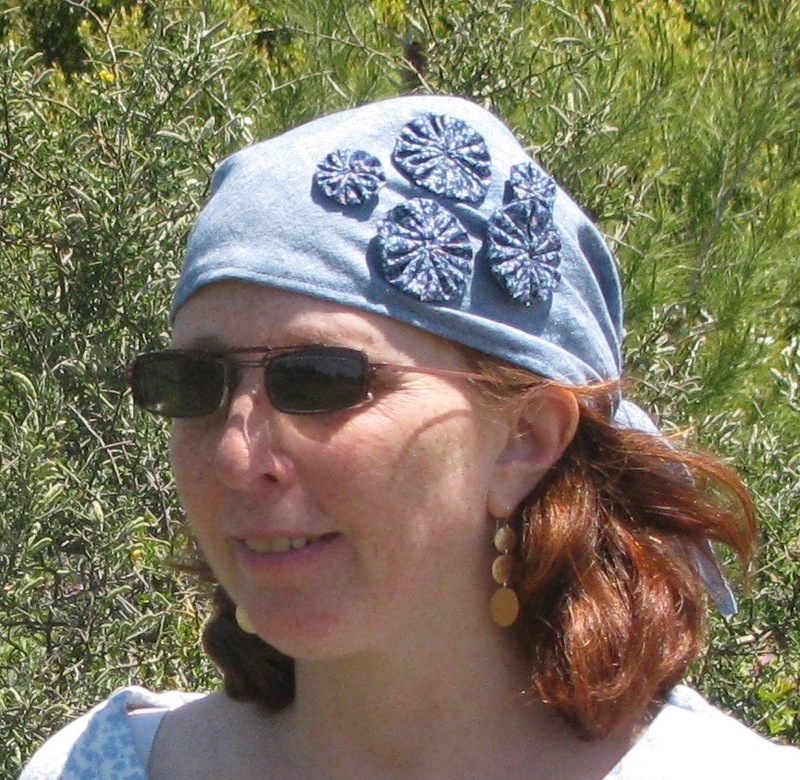 It is an ideal head covering for religious wearers and a perfect gift for any occasion. Keep an extra in your bag — they are so compact! $25.50 in time for Mother’s Day! Machine washable in cool water with like colors; hang dry.